Whenever you are deciding on a blow molded case, you need to make sure that you keep some major factors in mind to make sure you get a high-quality product that has the durability to last as well as the versatility that you want in a reusable blow molded case. Western Case specializes in blow molded cases that have a patented construction that includes being double walled, durable handles, non-slip surface and proprietary latches and hinges. 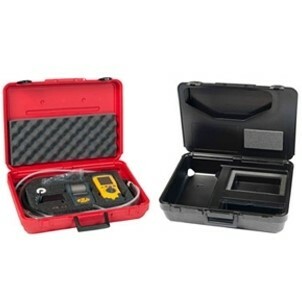 Western Case also offers its customers a variety of different options as far as sizes so that you are sure to find one that is perfect for your equipment. There are currently an incredible fifty different sizes available to be immediately shipped out. 1. 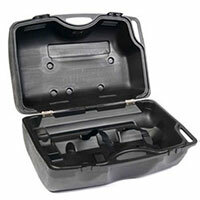 In-Stock Cases – These great cases are ready for shipping today and feature a black exterior. These great cases come with an interior design that is open as well as having label inserts that are blank recessed. 2. Semi-Custom Cases – Western Case is happy the work with customers on Semi-Custom cases by making use of one of our existing molds and then create a custom mold core for you at no extra charge. 3. Custom Cases – At Western Case we are very proud of our fully custom cases and our engineers will be happy to design you the perfect case that is set to your specifications. Call up the experts here at Western Case today and find the ideal case to suit your needs at 1-877-593-2182.